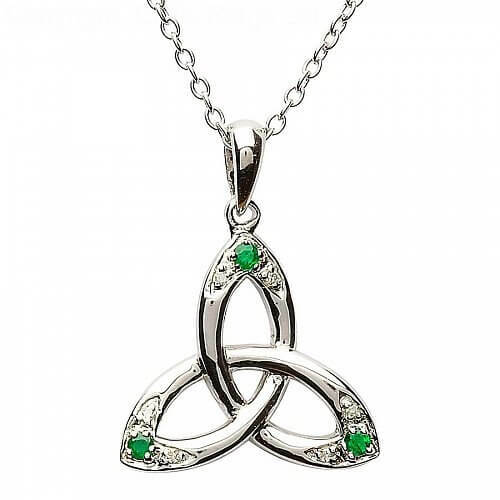 This Trinity knot pendant is set apart with the introduction of emeralds and diamonds. 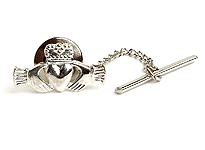 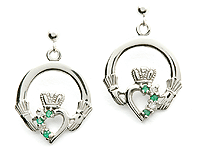 Handcrafted from the finest Sterling silver. 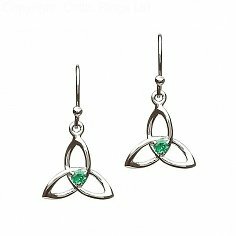 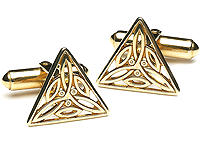 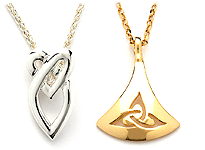 The Trinity knot represents the three Celtic goddesses, and was later used to represent the Holy Trinity. 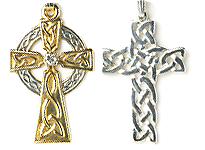 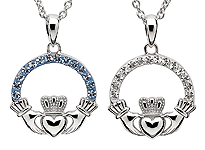 Handcrafted by Irish artisans and wonderfully packaged in a luxury presentation box.